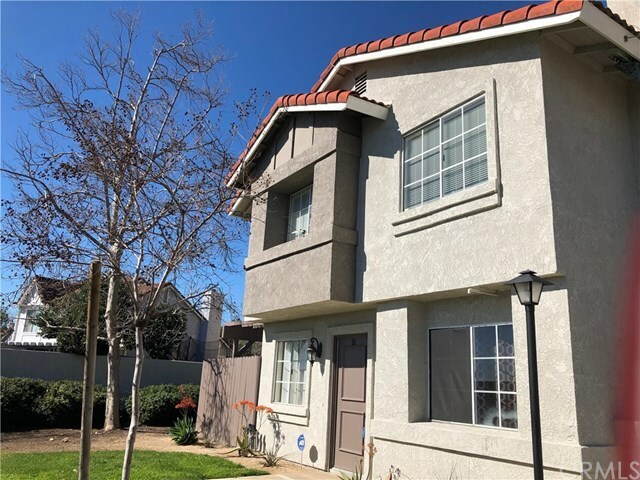 Come see this beautiful 2 bedroom, 2Â½ bath end unit located in Foothill Highlands, a wonderful community that boasts spectacular mountain views located in Alta Loma right off the 210 freeway. This gated community features a pool, spa, basketball and tennis courts, playground and a greenbelt with BBQ areas. The kitchen has granite countertops and built in appliances and the dining area has a slider that leads to your own private courtyard where you can enjoy the fresh mountain air, while BBQing your dinner or just relaxing. And for those cold winter nights, cozy up to the fireplace in the living room. Upstairs the master bedroom has a private bathroom and walk in closet for extra storage and the attached 2 car garage provides direct access as well as full laundry hookups. HOA pays for water, sewer and trash. This community is conveniently located close to shopping, restaurants, award winning schools and more, with easy freeway access. The exterior of the entire complex has just been painted. Directions: 210 Fwy to Archibald Exit. Go North on Archibald, turn right onto Highland Ave.